Tamura, T, Scenery of Japan, Board of Tourist Industrie 1937. Soft cover 19 x 14 cm. 88 pag. with ca. 75 black-and-white photo's. Cover some slight wear. Shashinshu Yomigaeru Bakumatsu[Selection of Photo's from the Leyden University], Tokyo 1986. Hard cover 21,5 x 26,5 cm. 300pag. with 450 black-and-white photo's. Japanese text, English captions below photographs. The photo selection in this version is more elaborate than version A & B.
Shibusawa memorial Museum, Shibusawa Eiichi and Albert Kahn.Exchange of Two Businessmem of Japan and France, Tokyo 2010. Exhibition catalogue. Soft cover 30 x 21 cm. 94 pag. with around 100 photographs. Text in Japanese and English. Albert Kahn, French banker. Shibusawa and Kahn met face to face for three times: in 1897 and 1908 when Kahn visited Japan, and in 1902 when Shibusawa visited France. They discussed about various topics including the financial issues between Japan and France, and invited each other to their private residences. precious collection in Japan. The oldest color photo shown in the exhibition dates back to 1908." KAZUO, M. a.o., Shimooka Renjo A Pioneer of Japanese Photograhy, Tokyo 2014. Size: 25.7 x 18.2 cm. 233 pages with 246 photographs. reference texts, this book is an invaluable new resource for collectors, scholars, curators, libraries and anyone interested in the history of photography. also trained a number of important Japanese photographers including Yokoyama Matsusaburo, Esaki Reiji and Kamei Shiichi, contributing to the spread of photography in Japan. Photography"), Sebastian Dobson (“The Photographer called `Unshin:' John Wilson"), Minami Miyuki (“The Painter Shimooka Renjo: His Technique as Seen in His Western Paintings") and Mitsui Keishi (“A Pioneer of Japanese Photography: Shimooka Renjo's Place in History"). Japanese-to-English translation by Alice Gordenker and Carol Morland. missionaries including James Curtis Hepburn and James Hamilton Ballagh, as well as many of the major artists of his time, such as Takahashi Yuichi and Goseda Horyu.Published by Kokushokankokai Inc. under the supervision of the Tokyo Metropolitan Museum of Photography." SOTHEBY's, The Travel sale: Books. Maps, Atlases, Natural History and Topographical Pictures, Londen 2000. Auction catalogue[ 14 December 2000/ no. : L00720]. Soft cover 27 x 21 cm. 241 pages with 454 lots. CHEVAL, F., Souvenirs du Japon en couleur Photographies de la fin du XIXe siecle coloriées au pinceau, Chalon -sur-Saone 2008. Hardcover 24 x 31 cm. Ca. 100 pag. with 67 colour photo's. WINKEL, M. Souvenirs from Japan. Japanese photography at the turn of the century. Leiden 1995. Softcover, oblong. 160 pa. met 185 foto's waarvan 69 in kleur. George Eastman House International Museum of Photography and Film, Image vol 37 nos 3-4 Special issue with "Souvenirs of Asia Photography in the Far East 1840-1920", New York 1994. Softcover 21 x 28 cm. 62 pag. met 40 foto's waarvan 4 in kleur. Softcover 62 pages with 40 photo's of which 4 in colour. "The four major sections in this issue are: Section 1. "Souvenirs of Asia, Photography in the Far East (1840-1920)" by William F. Stapp (pages 2-53 with 28 figures/illustrations of which 4 are in color). This section is broken into the following three major parts: a - India (pages 4-16), b - China and Southeast Asia (pages 16-23) and c - Japan (pages 23-34). These parts are opened with and Introduction (page 1) by Marianne Fulton and followed by Endnotes (pages 35-38), Biographies of Photographers (pages 39-44) and an Exhibition Checklist (pages 45-53); Section 2. "From the Collections" by Philip L. Condax (pages 54-58 with five figures in text); Section 3 "Recent Acquisitions, Daido Moriyama" (pages 58-60 with 3 figures), Daido Moriyama Chronology (page 61), and Section 4. "Museum Staff" (page 62). The checklist has a total of 110 items on exhibit and provides details on each of them. The "From the Collections" portion of the issued deals with the equipment, materials and processes used to produce photographic images." PHILIPP,M. & DELANK,C., The adventure of Japanese photography 1860-1890, Heidelberg 2002. Hardcover, 24 x 30 cm. 125 pag. met 90 kleurenfoto's. NEWMAN, D., The J.W.Henderson collection of Japanese photographs formed 1864-1876, New York 2000. Catalogue of an exhibition held by Hazlitt, Gooden and Fox. Soft cover 29,5 x 21 cm. 40 pag. met 75 foto's. Sales catalogue of an exhibition held by Hazlitt, Gooden and Fox. After 1854, when a Treaty of Peace and Amity was signed between Japan and the United States, foreign businessmen began to arrive in the once-sequestered island nation. Among them was a bank official from South Australia named John W. Henderson. He stayed in Japan for more than a decade and was interested enough in what he saw to collect photographs by professionals like Felice A. Beato, who had earlier worked in China and India. Henderson's cache of souvenir pictures, passed down through his family. Some of the 75 photographs are of standard attractions like the Great Buddha at Kamakura; others are of Japanese ''types,'' from priests to labourers to geishas. Most interesting, though, is how the collection reveals an Asian culture on the edge of change. Pictures of Shinto shrines alternate with those of Western commercial buildings. Portraits of samurai hang near those of the Kobe Rowing Club, to which Henderson belonged. A shot of the severed head of a Japanese man executed for the assassination of British Army officers brings a range of social tensions to the fore. In short, Henderson's pictures document a world that existed before a tourist industry romanticized it, and global politics coarsened it. Christie's, The Lau collection of 19th Century Chinese and Japanese photography, Londen 1994. Sales catalogue 19 October 1994. Softcover 21 x 27 cm. 42 pag. met 66 foto's; 87 lots. Good copy. With price list. Sales catalogue 19 October 1994with 87 lots. Sze Yuen Ming & Co.
Catalogus Bernd Lohse Photo Exhibition, The light of hope: Japan 1951through the lens of German correspondent. A collection of photos from the Picture Archive of the Foundation of Prussian Cultural Heritage, Tokyo 2006. Softcover 21,5 x 30 cm 96 pag. met 103 zwart-wit foto's. Tekst in het Japans en Engels. Text in Japanese and English. Foto documentary by Bernd Lohse[1911-1995] from Japan in 1951 during the re-construction of the country. ODO,D., Unknown Japan reconsidering 19th-century photographs, Amsterdam 2008. Hardcover 21,5 x 27 cm. 60 pag . met 38 foto's. Rijksmuseum studies in photography no. 4. Study of a collection put together by an unknown German in 1884-1885. The collection is part of the National Photography Collection, held by the Rijksmuseum in Amsterdam. O “século cristão” no Japão – de meados do século XVI a meados do seguinte – deixou na nossa memória colectiva ecos difusos de um contacto/presença distante no tempo e no espaço, em ambiente exótico e aprazível. A presente obra é constituída por mais de 400 postais inéditos enviados por Wenceslau de Moraes a Francisca Paul, sua irmã mais nova, a pessoa com quem tinha mais afinidades. Tal cumplicidade garante-nos, desde logo, a abertura de espírito e o intimismo, revelando assim a sua sensibilidade e a sua empatia pela cultura japonesa. Esta correspondência permite-nos ainda acompanhar as múltiplas viagens de Wenceslau de Moraes praticamente por todo o Japão, designadamente pelas cidades de Kobe, Tokushima, Iocoama, Nara, Quioto, Osaka e Tóquio, entre outras. Wenceslau de Moraes (b. 30 May 30, 1854 in Lisbon, d. 1 July 1929 in Tokushima), in modern orthography Venceslau de Morais, was a Portuguese writer whose works were steeped in orientalism and exoticism, particularly the culture of Japan. 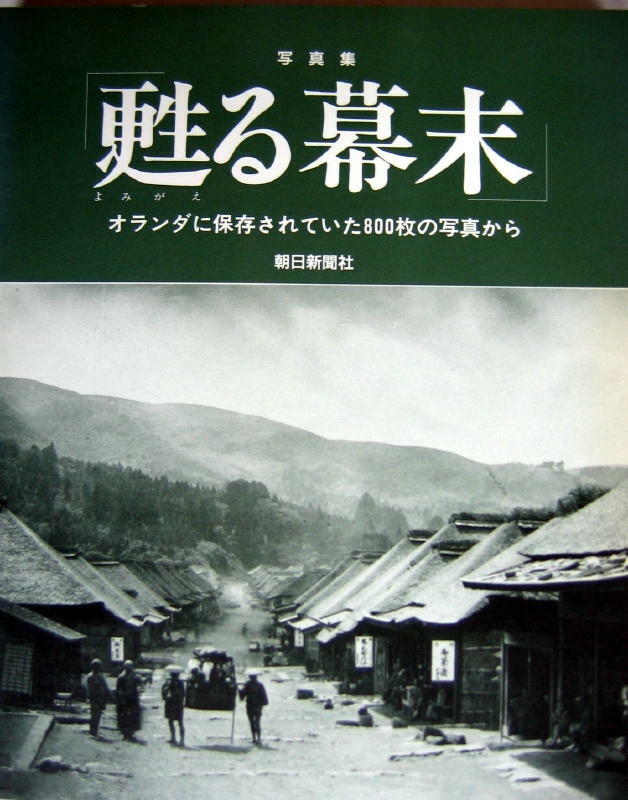 He has been compared to Lafcadio Hearn, a contemporary who settled in Japan but wrote in English. A translator of Haiku, his verse was also influenced by Symbolism. KÜHN,C.(ed. 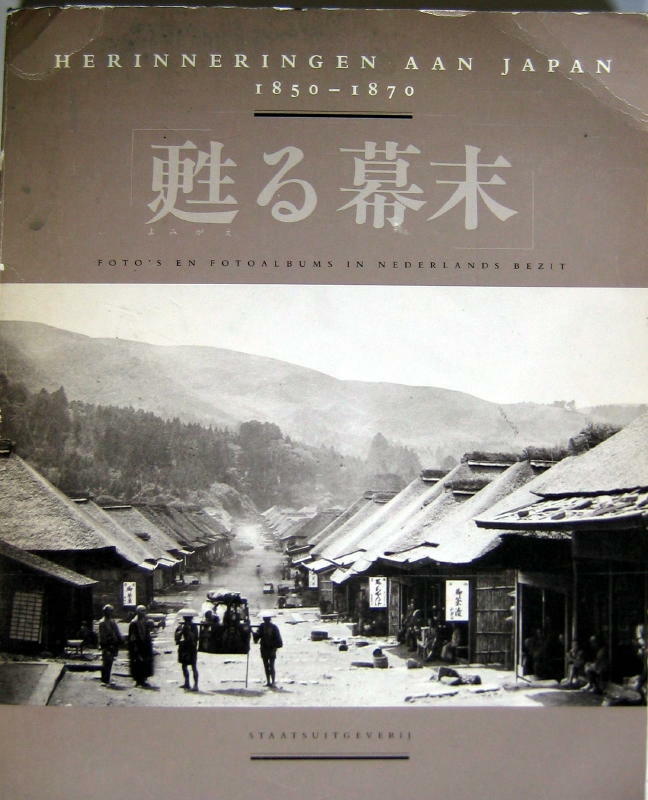 ), ZARTROSA und LICHTBLAU Japanische Fotografie der Meiji-Zeit 1868-1912, Berlin 2015(publisher: Kerber Verlag / ISBN 978-3-7356-0048-6). Hard cover 29,5 x 24,4 cm.319 pages. Pages 1- 82 six essays with 35 photographs; pages 82-255 full-page colour photographs. Text in German. "The exhibition features some 200 images from the most important commercial-photography centres in Japan. The display opens with works by Ueno Hikoma and Uchida Kuichi from Nagasaki, followed by work by Yokohama-based photographers Felice Beato, Baron Raymond von Stillfried-Rathenicz, Adolfo Farsai, and Kusakabe Kimbei, as well as Ogawa Kazumasa of Tokyo. The show offers a comprehensive survey of the major themes and stylistic devices of the Meiji Era. The featured works range from ethnographic typologies and staged genre scenes to artfully stylized portraits, nature studies, and architectural photographs. They form a canon of photographic travel shots, intended for visitors on a Far-Eastern 'Grand Tour' as souvenirs of their trip for universities and colleges back home, or as visual records to bolster and fuel the exotic imagination. Geishas playing and dancing to the shamisen, samurai, sumo wrestlers, kabuki actors, temples in Tokyo, or Nikko, or on Mount Fuji embody the stereotypes of the paradisal land of the cherry blossom that had been widely perpetuated in the West since the 16th century. The photographs exploit these clichés. At the same time, they often seem to cast doubt on the authenticity of the depicted experience."